Visit the Class with a Glass home page and select a class category. 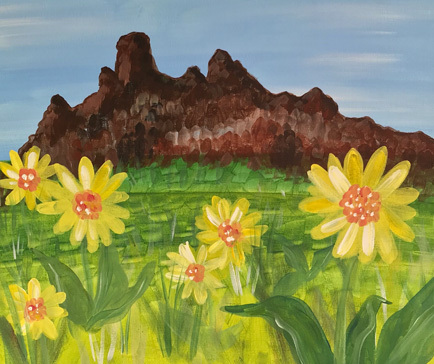 Select the painting class you want to attend and follow the directions to register with a credit card payment online. In a word, FUN!! The atmosphere is bright, interactive and friendly. When you arrive, get comfortable and enjoy your first glass from our selection of wine, beer and non-alcoholic beverages with some light refreshments. Then take your seat at a table with easel, canvas, brushes and acrylic paints provided. 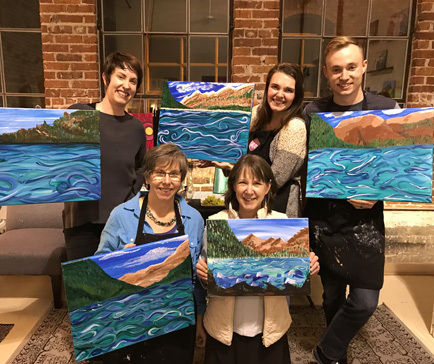 Our painting instructor will gently guide you step-by-step through the process of painting your own unique piece of art. Bring your self and sense of fun! The studio provides paints, easel, canvas, brush and apron. There are cubbies and coatracks to hold your personal belongings. Light food is provided and the bar offers a selection of wine, beer, cider, and soft drinks for additional purchase. Please, no outside food or drink allowed. Wear whatever makes you feel expressive, comfortable and at ease. Aprons will be provided for the occasional splatter or drip. 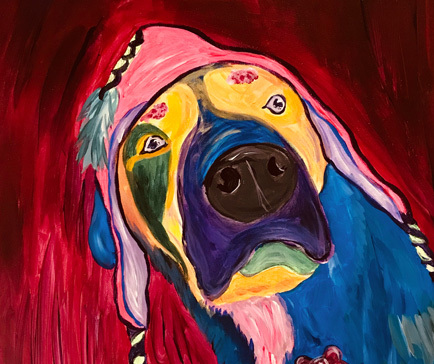 Painting is fun for people of all ages! Our general sessions are open to families and we do request that an adult accompanies all kids under the age of 18. We also offer classes specifically geared for kids at least once a month on Saturday afternoons. 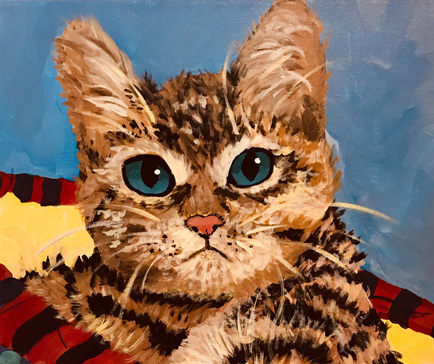 These classes are categorized as “Kids Classes.” Parents or older family members are welcome to paint alongside kids or leave them in our capable care during Kid's Classes. You will be asked to sign a consent form if you choose to leave your child with us for the kids class. Please contact the studio at least 48 hours in advance if you need to cancel your reservation by calling (509)-393-4236 or emailing info@classwithaglass.com. There will be no refunds for no-shows. We prefer to offer you class credit and will help you reschedule for a different, future general session of your choosing. Absolutely! 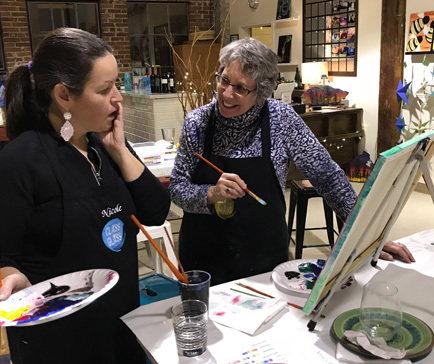 The studio space can host private events for birthdays, company team building, family reunions, holiday events and many other fun occasions. 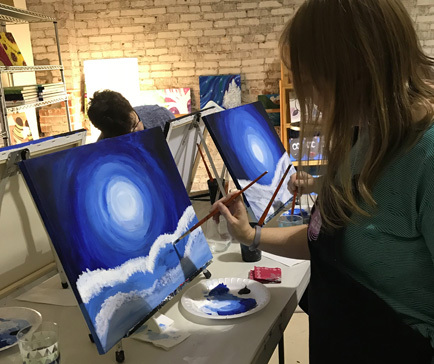 Class with a Glass can host 8-24 people for a private painting party. Contact us at info@classwithaglass.com and we will help you plan your next private party!